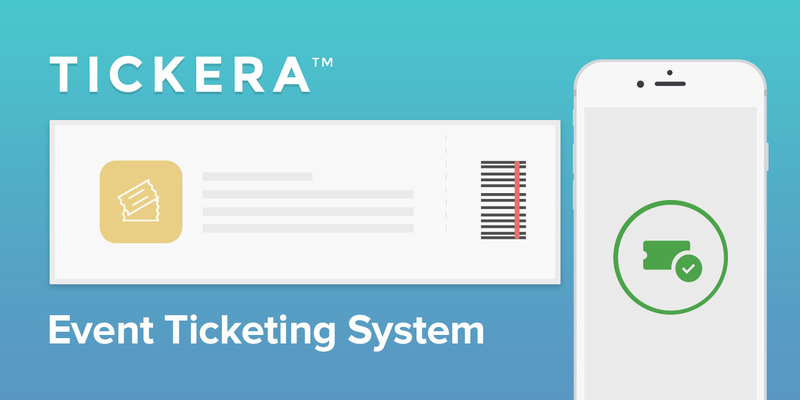 If you are looking for a plugin to help you with selling and delivering tickets for your event to your attendees, then Tickera is probably one of the best choices to help you with this! Not only does it take care of the payment methods, but it also gives you full control over your tickets design and details, thanks to the many features available. To begin with, Tickera is WooCommerce compatible, meaning that you can experience a fusion between Tickera and WooCommerce called Bridge for WooCommerce, which offers you a great range of amazing options for your ticket-selling. First, you can create tickets inside WooCommerce, as easy as you can create any other product, by designing the look with the Tickera drag & drop builder, adding details such as price and stock and controlling the number of check-ins per ticket easily. When selling your tickets, the clients can choose from over hundred payment gateways that will process, verify, and accept or decline credit card transactions on behalf of the merchant. This is very useful as it gives the chance to almost anybody to purchase your products (in this case, to come to your event!). This methods include PayGate, offline payments, BrainTree, Mollie and others. So why not try it? From what we have found out, it has a lot of advantages. 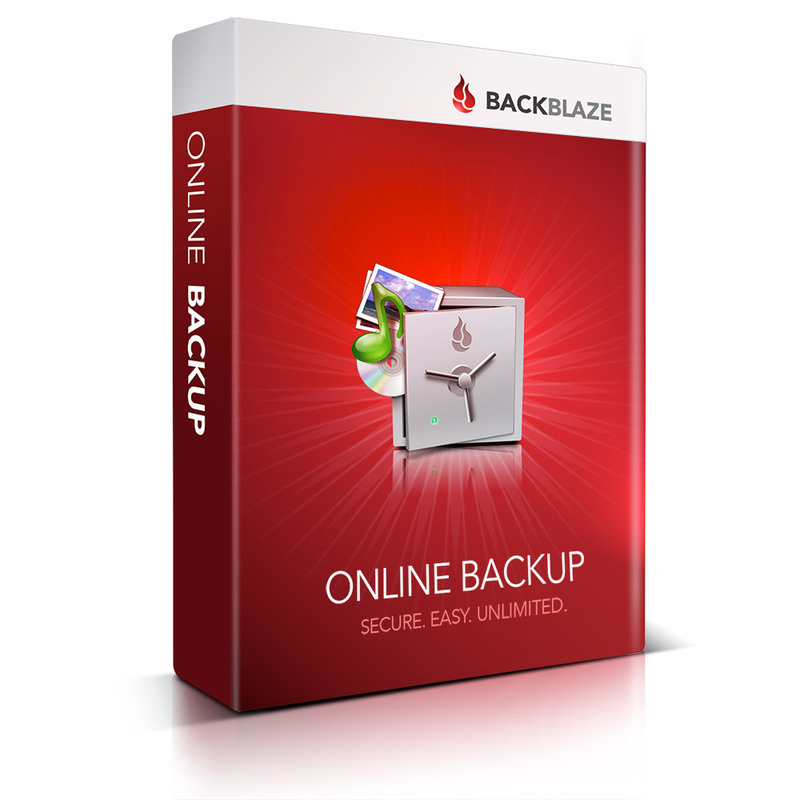 Backblaze is well-known on the internet due to its amazingly easy and low-cost backup system, that helps you recover unlimited files at a great speed. Therefore, if you have ever encountered the problem of losing data, or you just want your files to be more secure, we advise you to try Backblaze. It has automatic or scheduled backups and it notifies you every time a backup has been made. For only $5/month for your personal use, you can benefit of many features such as mobile access for your files, so that you can view and share them on the go (works both for iOS and Android), personal key that you can use for additional security, or restore options, including receiving your files via FedEx on a USB hard drive, that can be given back for refund within 30 days. Another good point is that Backblaze’s code is native to Mac and PC and doesn’t use Java, as we know that Java is responsible for 91% of security attacks. ShrinkTheWeb.com will become for sure a website you wished you found earlier. 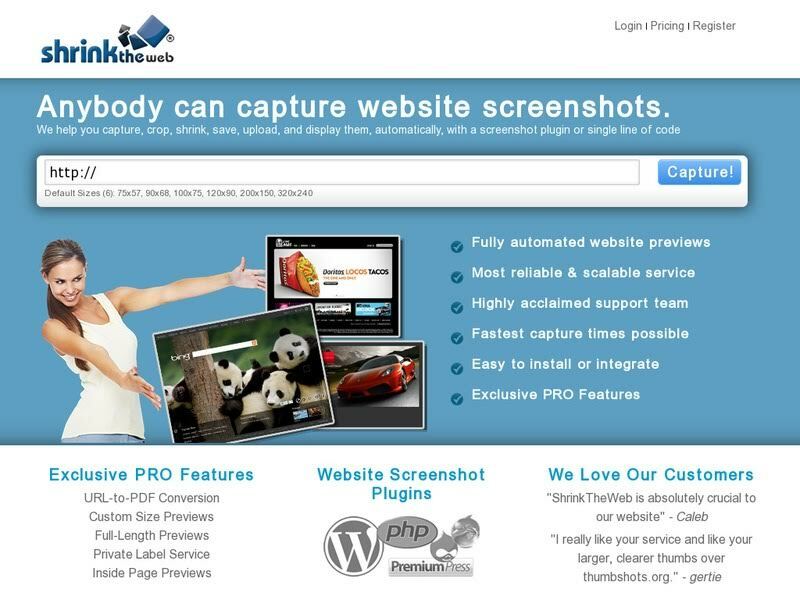 It is a service for taking automated screenshots for your website, or any other website for that matter. You can test its speed just by going to their homepage and testing any URL: you'll get six default sizes screenshots (the largest is a little over 300 by 200 pixels, so you couldn't use it anyway). But by making a paid account (pretty cheap, actually, comparing it to other platforms), you can get superhero powers: code integration with all kinds of plugins, from WordPress to Drupal or Django or with server-side programming languages: PHP or Ruby on Rails, for example. Custom sizes for your screenshots helps in front-end development, by testing your responsive website breakpoints. Other characteristics provided are turning URL to PDF and insight pages analysis, to check the appearance of every page on your site. Or would you like to add your signature as a placeholder on the image? Now you can-on ShrinkTheWeb. 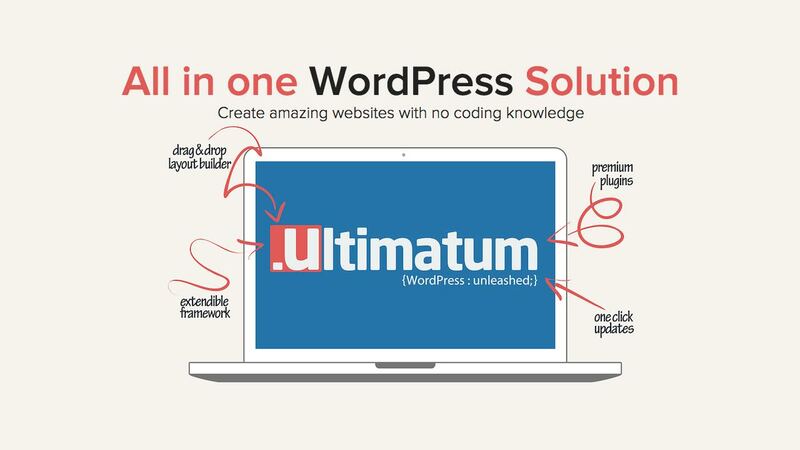 Ultimatum Theme is without argue the best website builder online, offering full parent theme support that can boost your imagination and a complete layout drag-and-drop editor. You can also edit the CSS code directly live, if you're a more advanced user, but this platform is dedicated to everyone, from a newbie to a master. You can even custom post types for easy blogging and access to thousands of other WordPress plugins. The best example of how well it is constructed is the ten types of menus they have. If this essential, but truly boring part of any design has so many alternatives, what are we going to say about tables, sliders and dropdowns? Go try it now! Looking for a fully responsive and easy-to-use website builder? Simbla Website Builder is a platform that works great on any kind of device thanks to its Bootstrap3 cutting edge technology and also uses a drag-and-drop technique that makes it easy as pie even for the beginners to create a website within minutes! Plus, you do not have to worry about the price, as it is affordable for everyone, having many options to choose from! 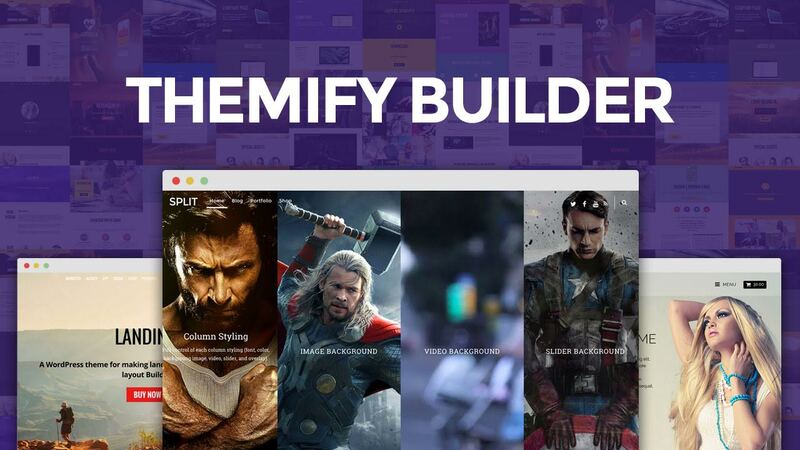 Themify.me is the place you should go if you have no coding experience, but you want to build some great design. Trusted by 54,000+ users, Themify themes & plugins help you make beautiful, responsive WordPress sites, faster and easier than ever before. Even if this is one of the titles on their homepage, it turns out to be true, but if the extended functionality can't make you believe it, maybe their customer reviews will. 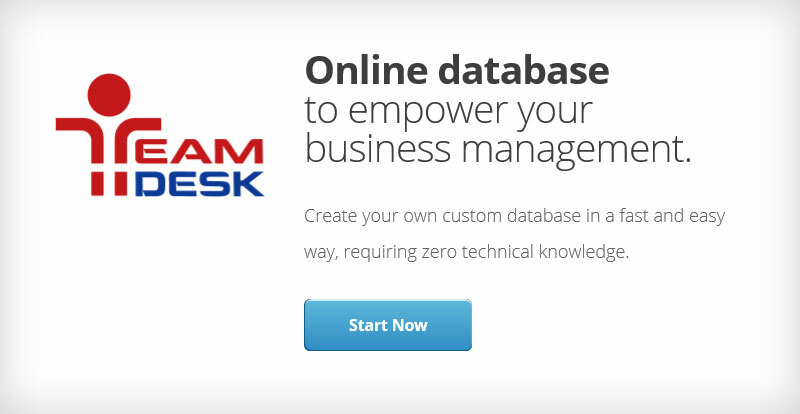 TeamDesk is the greatest software of storing information, being a really simple and flexible solution, without requiring any technical knowledge. 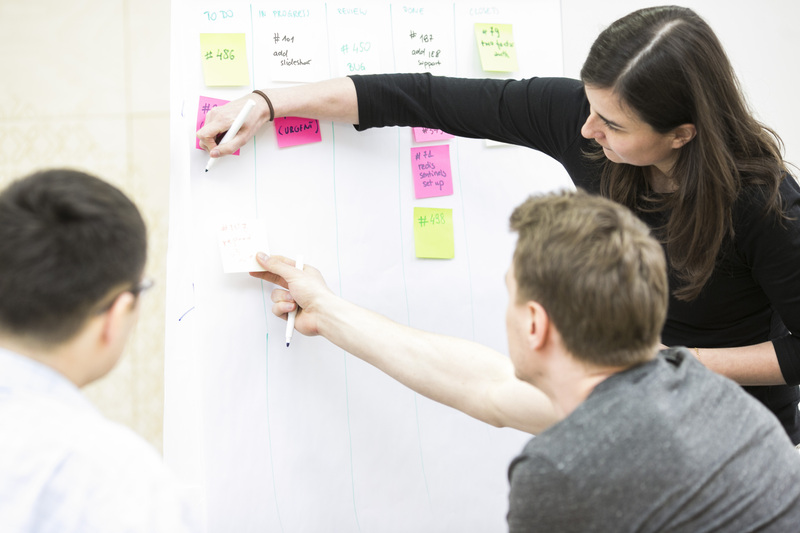 It allows you to create databases for your company, that will help you improve the quality of the project management, by developing teamwork, preventing delays and more. For the beginning, you can choose the Starter Edition, for $49/month, but then you can also choose from Team or Enterprise Edition. Anyways, you will have a 14-day free trial that you can try before! 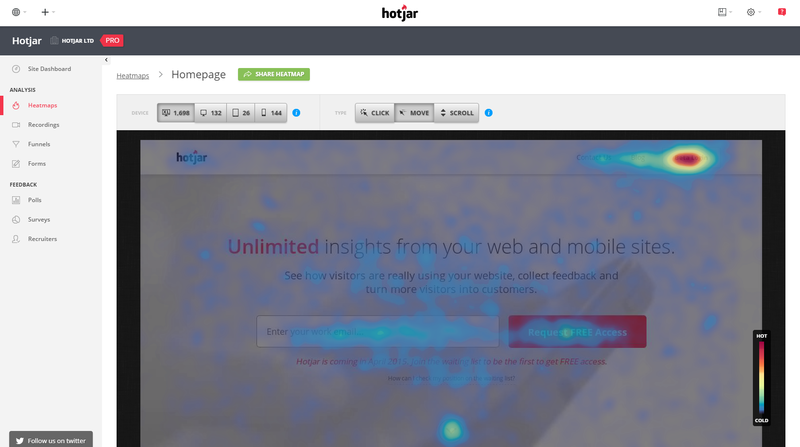 We think Hotjar is the best website analytics tool so far, that lets you keep track of your visitors preferences and needs regarding the look and the content of your site. You can use it for impressing your clients and colleagues with visual insights, speaking directly to visitors before they leave the page, changing content based on your traffic’s desires and a lot more benefits, that you will discover on the way! Do you want a mobile-friendly website, but you are facing financial constraints or you do not have enough time to create it? 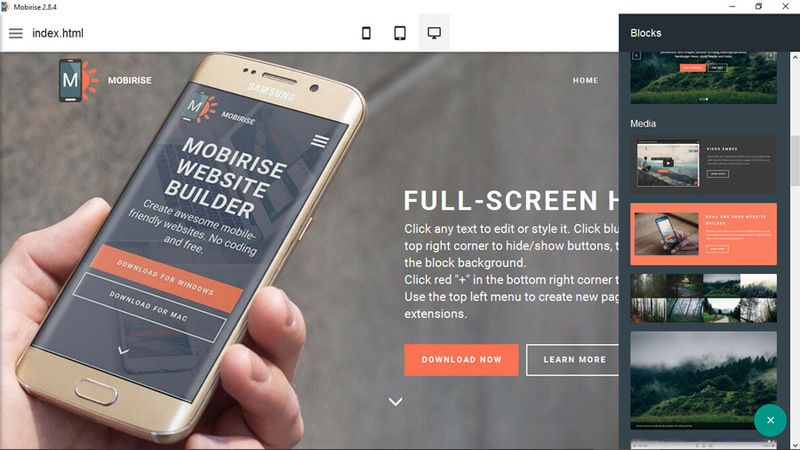 Mobirise is exactly what you need. It is an offline app that you have to install on your computer, in order to help you build your website by dragging and dropping the desired blocks into the page. It is very easy-to-use and destined for all kind of users, even for those of you who are not familiar with web development. 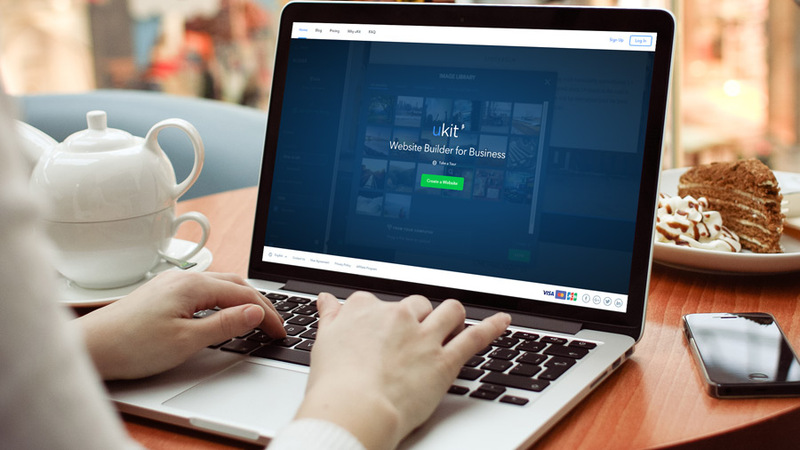 uKit is an amazing website builder for the ones who are not so technical and want to do this fast and easy. In addition, the builder always gives you a preview of your site, so that you can see all your changes in real time, on different devices: desktop, tablet and mobile. The dashboard also lets you manage the important setting, such as connect analytics, enable ‘under construction’ mode, upload a favicon, view notifications, get help and more. No questions why it is in the top website builders of http://superbwebsitebuilders.com/. If you want your design followed to pixel level detail with clean code, in time, within budget, and to a very high level of quality, then you might want to hire Xfive, your next professional development partner! It helps you take quality HTML from a PSD, Al or other creative file for you web projects, thanks to the many things they can do for you. If you’re curious, take a look on their site or you can even contact them if having any kind of web development problem. Thanks to IM Creator site building tools, there is no need to worry more about not knowing a thing about design. Different from other website builders, as it uses a completely new technology with stripes & polydoms, it helps you create a fully responsive and google-friendly site, that you can even update on the go with their new XPRS mobile app. So simple and easy!